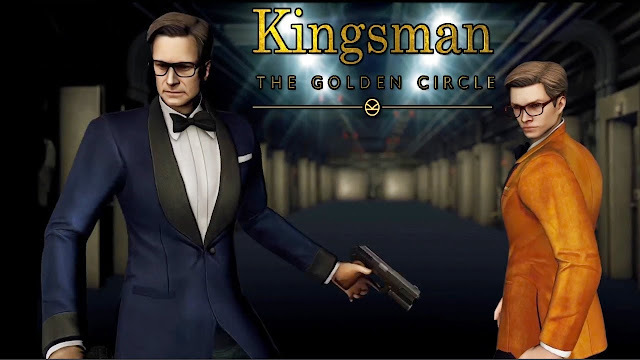 Kingsman: The Golden Circle Game is getting major updates including raising the maximum Character Promotion to SR Rank. A new Friend System has been added to make it easier for players to exchange extra Outfits and fight together in 2v2 PVP! New Skills that fans would recognize from the second film have also been added including the freeze gel grenade, Kingsman Aftershave, and the machine-gun, rocket-loaded Kingsman suitcase! Kingsman: The Golden Circle has recently launched in theaters in Japan, and for Digital/Home Entertainment in the US. Fans from around the world can take part in this pre-registration event for Version 2.0 and download the game today to prepare for this comprehensive and exciting game update! Special Daily Combat Missions – Put your agents to the test in this challenging Daily Event to receive the items you need to take down any global threat. Chapter 12 “Poppyland” – Confront Poppy in her Golden Circle headquarters and put a stop to the plots of this worldwide drug cartel with scenery and action seen in the latest film. Friend System – Find and join your friends in a Guild to prepare for the Version 2.0 update. Invite them to a quick 2v2 match to show off your newly improved Kingsman and Statesman Characters! 12 New Outfits Added – New Outfits to collect for Eggsy, Harry, Tequila, Whiskey, and all of the other Kingsman and Statesman Characters. Now a new Outfit Bonus applies to your Character Stats when you collect more of these powerful Outfits.